We swapped from Authonomy to MSN instant messenger within 3 weeks. And we only really corresponded through type. 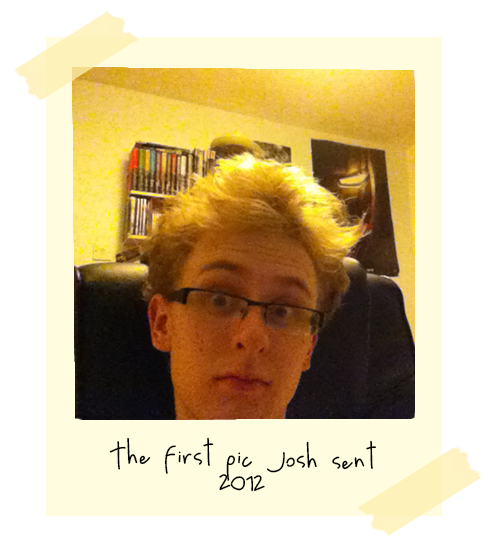 One of the main topics of conversation was Josh’s hair, which he was growing out at the time. We never really video chatted or voice chatted before so we hadn’t really seen a lot of each other in person. 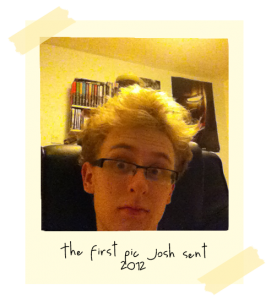 But I managed to convince Josh to send me a picture of his hair. This is the first picture Josh ever sent me.